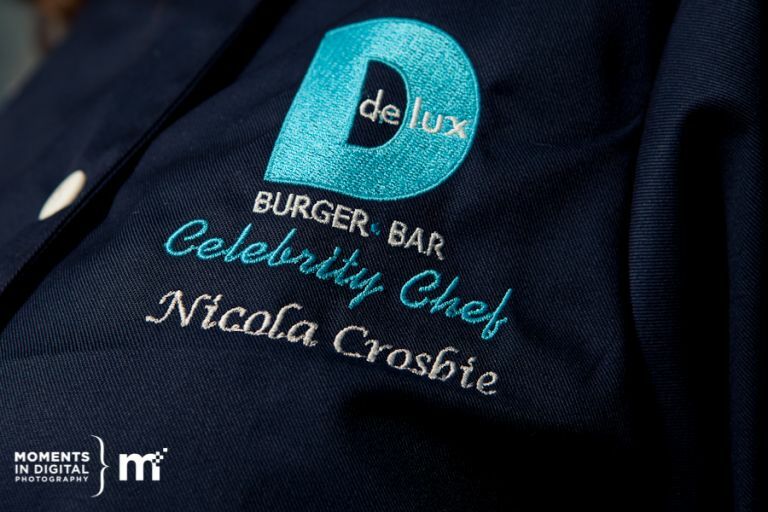 It’s the start of another new month and that means another new Delux Burger Celebrity Chef. 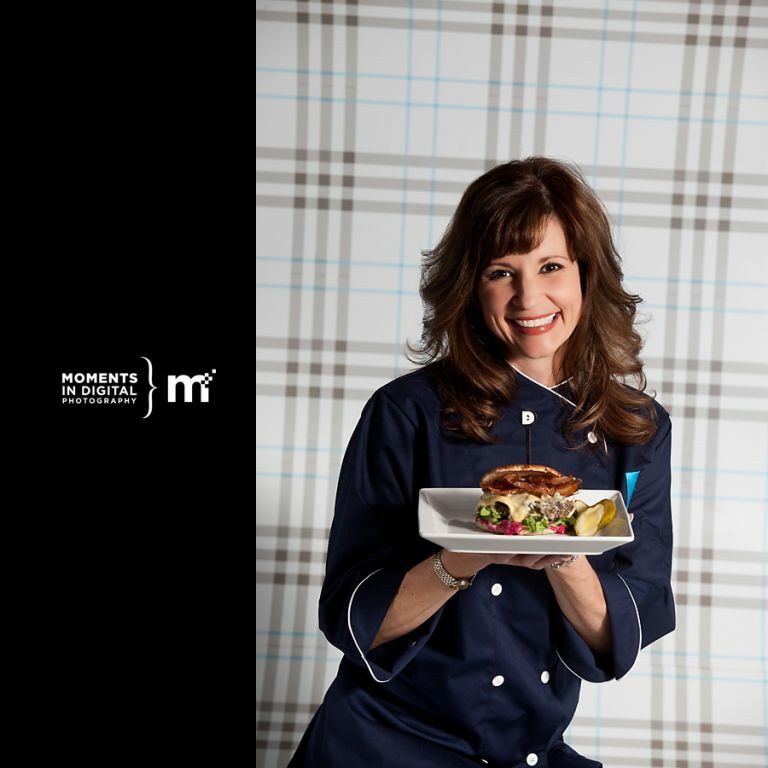 For the month of February, the celebrity chef is Global Edmonton’s chief meteorologist Nicola Crosbie. We met up with Nicola at the Delux location in WEM and had a great time working together. Nicola is used to being in front of the camera and was a lot of fun to photograph. She has a beautiful smile and was very relaxed during our brief time together so we were able to get some nice relaxed images in just a short time. With her busy schedule we only had a few minutes to get the shots we needed so I had to make sure I was setup and ready to go when she arrived. 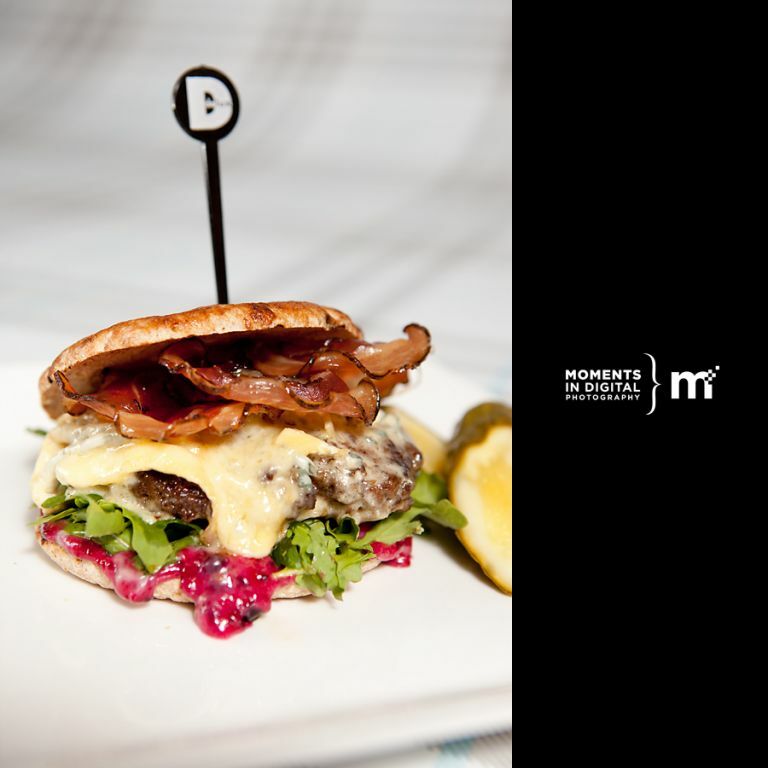 Nicola’s burger is called the “Nicola Burger” and features a 6 oz Alberta beef patty, creamy cambozola, crispy pancetta, baby arugla, black current mayo, and it’s served on whole wheat flat bread. 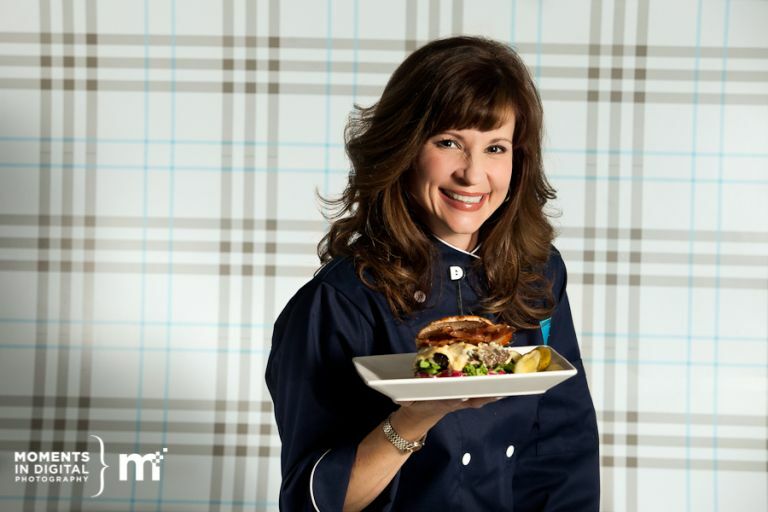 $1 from every burger sold will be donated to support the Edmonton Eskimo Women’s Ovarian Cancer Research Endowment fund so be sure to stop by either location of Delux Burger in Edmonton and try out Nicola’s burger. You’ll enjoy a delicious burger and be supporting a great cause at the same time.